Designed to provide the perfect blend of power and efficiency, compact crossovers offer drivers a high-performance vehicle that’s easy to handle both in price and behind the wheel. Already a popular pick, these compact powerhouses continue to gain attention year after year. Within this category, the 2019 Ford Escape and the 2019 Subaru Forester are two highly competitive options, especially considering both brandish a starting MSRP below $25,000. But what comes loaded under the hood with such attractive pricing? Check out how these two compact crossovers size up in terms of power in this engine performance overview of the 2019 Ford Escape and the 2019 Subaru Forester. 3,500 lbs. Max. Available Towing Capacity 1,500 lbs. 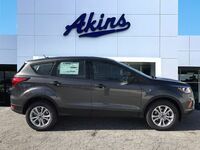 The 2019 Ford Escape’s base trim level, Escape S, features a standard 2.5-liter 4-cylinder engine, which offers 168 horsepower and 170 lb.-ft. of torque. The 2019 Subaru Forester’s standard 2.5-liter 4-cylinder engine comes slightly ahead with 182 horsepower and 176 lb.-ft. of torque. The two vehicles tie in terms of hauling strength with both delivering a standard towing capacity of up to 1,500 lbs. Though the Forester comes out ahead in terms of standard engine power, all the Forester’s trim levels are restricted to this one engine option. 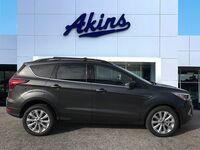 The Escape, on the other hand, gets upgraded to the 1.5-liter EcoBoost 4-cylinder engine on its SE and SEL trim levels. This engine closes the power gap with 179 horsepower and 177 lb.-ft. of torque. Equipped with this engine, the Escape also trumps the Forester's 1,500-lb. towing capacity, providing up to 2,000 lbs. of hauling power. 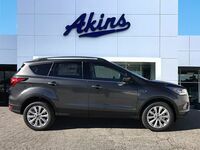 At the high end of the 2019 Escape lineup, the Titanium trim level features a standard 2.0-liter EcoBoost engine, which offers 245 horsepower and 275 lb.-ft. of torque. 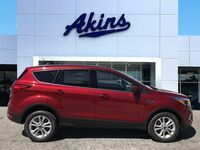 This makes the Ford Escape’s engine 63 horsepower and 99 lb.-ft. of torque stronger than even the highest-level Forester. The Escape Titanium's engine option also offers more than double the hauling strength of the Subaru Forester with towing capacity of 3,500 lbs.